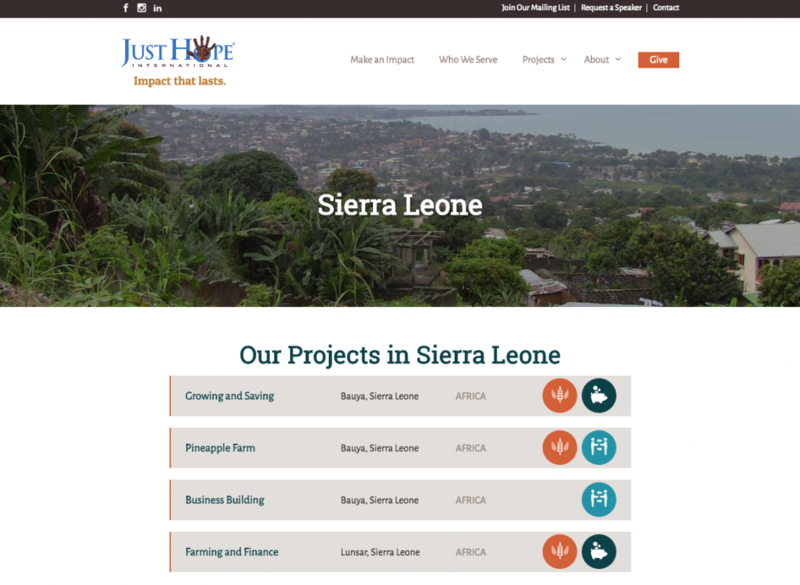 With projects and their audience rapidly growing, Just Hope International needed to revamp their visual brand and upgrade their website. 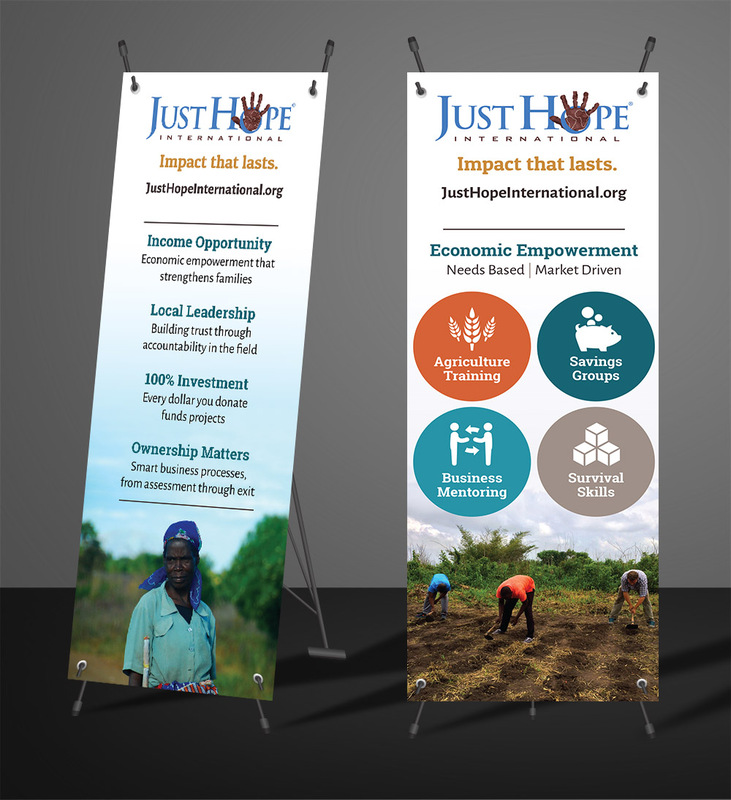 The first step was to create a new visual brand for Just Hope. 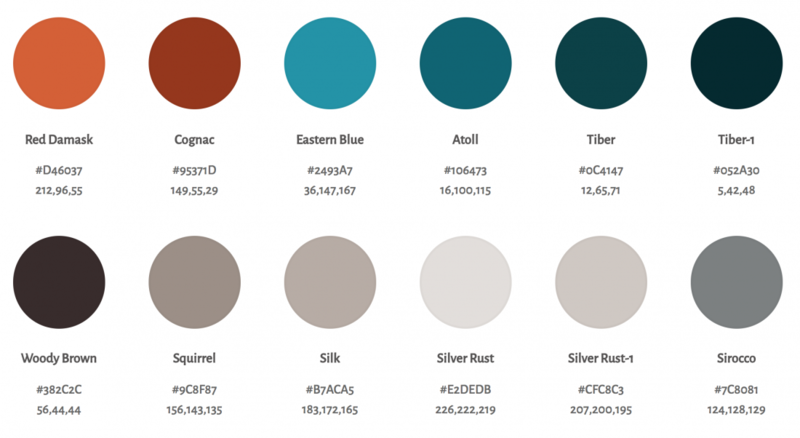 Grays and browns provide a neutral but soft foundation for muted red and blue-green accent colors. We used multiple shades of each color to provide depth and function. We selected a slab serif headline font that is bold and eye-catching, while a lighter sans serif font provides contrast and works for large blocks of copy. 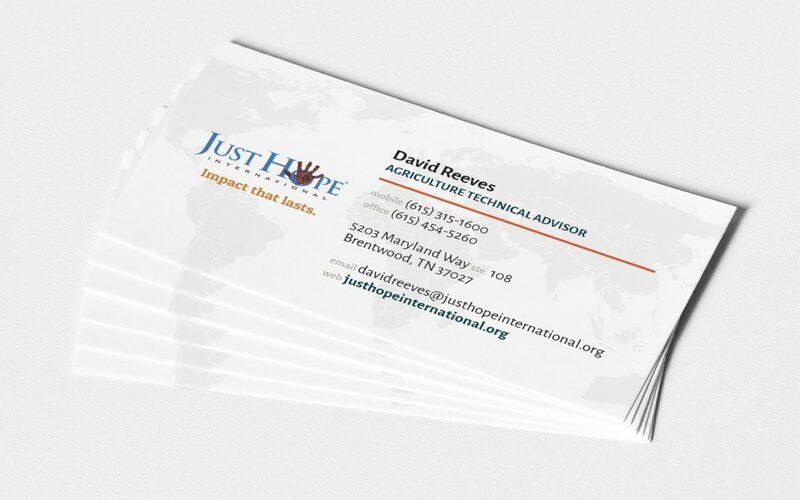 The new look and feel is carried through other marketing collateral, including business cards and event signage. One of the key features of the website is the interconnection between elements. 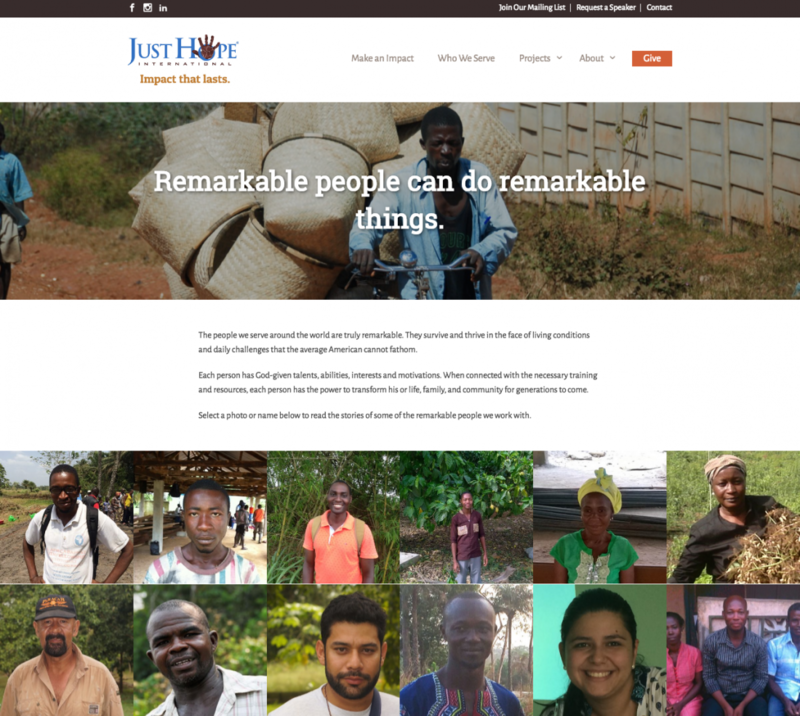 For example, from a location page, you can see projects taking place there, and learn more about the people Just Hope serves in that country. You can also click an icon to learn more about the types of projects Just Hope engages in. This interconnection encourages browsing and exploration. It was critical that the new site heavily feature the people Just Hope serves. (After all, they are the reason Just Hope exists!) Now users can read updates and follow their journeys, encouraging repeat visitation. We added a mechanism for administrators to easily add updates and needs to every project. 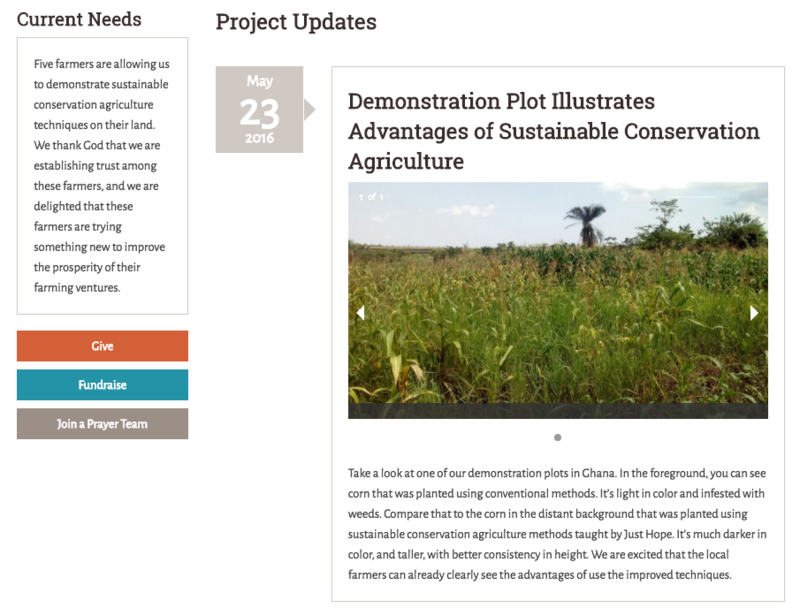 This allows supporters to track progress on projects and address prayer and financial needs.